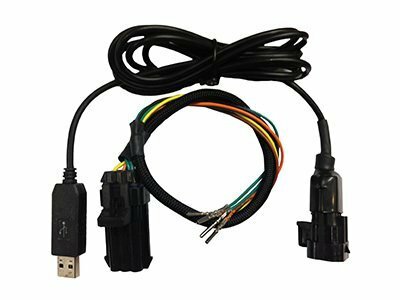 An ECU flash kit that includes a programming harness so you can connect your bike to the web from anywhere in the world and download an ECU flash custom made for the Taylor Made full exhaust. FTECU have tested the full Taylor Made exhaust kit and using their extensive race experience developed a custom flash which will give you increased horse power (+29 hp) plus a host of other benefits which are a must for committed racer and track day enthusiast. No need to send your ECU away for flashing. FTECU have developed a bike side programming harness that is permanently installed on your bike. With the harness installed you can connect your bike to the web and from anywhere in the world download the flash. A must for getting the most out of your gixxer at the track. Full fitting instructions plus technical support are available from the FTECU website once you have registered your product.